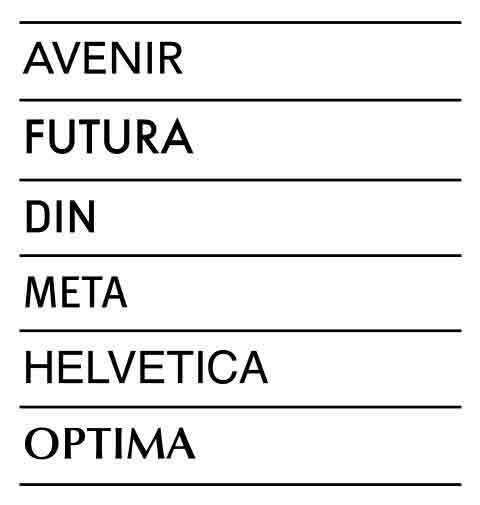 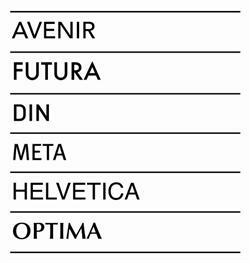 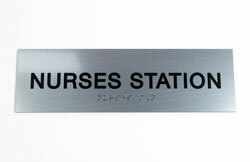 5.75" x 5.75" braille room number signs with a 2" high insert window are an ADA compliant way to label medical offices, exam rooms, classrooms, and offices. 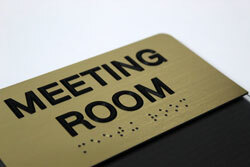 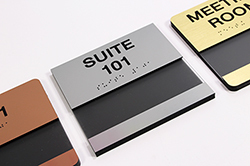 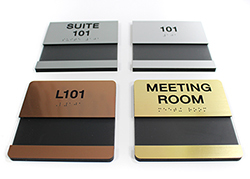 Include permanent tactile (raised) text and grade 2 braille on the header such as the room number or meeting room name, and create interchangeable inserts for the signs with occupants' names, patients' names, teachers' names, or employee names. 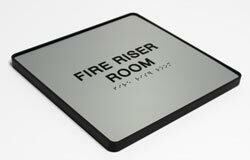 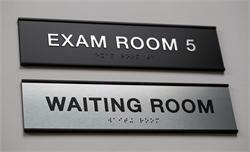 Label the rooms in your school, clinic, hospital, or office building with these professional, durable acrylic signs that meet ADA regulations and are also easy to keep clean. 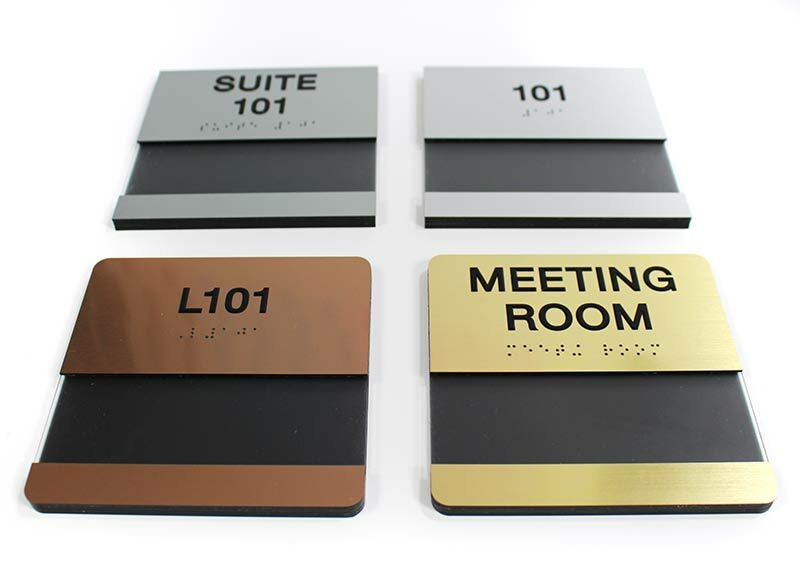 Choose from a variety of acrylic metal-like finishes to most closely match the decor of your space. 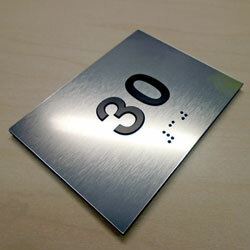 Our insert window signs have been redesigned to have a more seamless edge at a lower price! 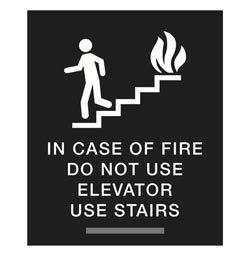 Signs are lighter weight for mounting on your wall.Click here to learn more about the new sign construction. 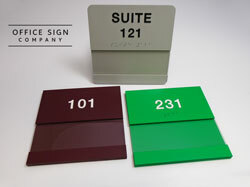 If you require a size or color not listed, contact our customer service department via e-mail at service@officesigncompany.com or via phone at (701) 526-3835 with all of your details and they will send you pricing for your request. 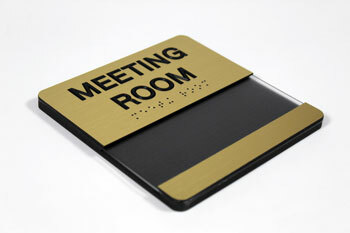 Note: When insert is not in sign, insert area will be black (as shown in photos).